Since 1978, Cool-Lux has established itself as the gold standard in broadcast and video lighting and accessories, with many products made in U.S.A and all fully serviced here in Bartlett. Dot-Line has thousands of products at every price point, covering practically any photographic and video need. For the traditionalist, Logan continues to offer a full-line of organizing, viewing, and storage accessories for slides, transparencies, and negatives dating back to 1939—and proudly made in U.S.A.
Mola was founded in 1984 and manufacturers and distributes a unique patented line of light shaping tools and accessories used by fashion photographers and professionals worldwide. Norman has garnered a place in the hearts and minds of professional still photographers as contemporary in its styling and unswerving in meeting today’s challenges, delivering quality results from one moment to the next. Photoflex offers light modifiers of every kind, to meet the needs of the commercial and portrait photographer shooting strobe, the location photographer shooting with large lights or small shoe-mount flash, and the videographer and small-product photographer shooting with hotlights and LED lighting. Portrait photographers throughout the country depend upon our Brown Line for the highest quality lighting possible while our Black Line system fills the needs of the most demanding commercial shooter. Scott Stulberg is a travel and stock photographer who often journeys to distant lands to capture unique images. He is represented by many stock agencies, including Corbis and Getty Images. 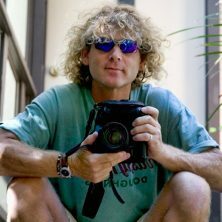 Scott is a contributing writer for Shutterbug magazine and EOS Magazine and also leads photo workshops in different locations in the US and around the world. He is also the author of Passage to Burma, a coffee table book spanning a dozen years of photographing his favorite country, Burma. Based in Sedona, Arizona, Scott’s photos have been used by Microsoft, Fuji, Newsweek, New York Times, National Geographic, greeting cards, calendars, book covers and are in private collections around the world. His work is on permanent display in the United Nations and many hospitals including the UCLA Medical Center which recently decorated 60 patient rooms with his work.